Each world state has its own monetary unit - currency. Similarly, as in the past centuries, this unit has successfully replaced gold - the most famous precious metal. As a rule, the more successful and richer the country was, the greater gold reserves it possessed. But such "golden" ages are left behind in the past. Now the world markets are ruled by currencies, and the reference unit is considered to be the American Dollar. This currency appears in most market trading operations. And, accordingly, all international relations are based on the dollar system. If we talk about the market mechanism, the exchange rates are under the influence of changes and are subject to various factors. In many ways, quotes depend on world events, on the policy of the issuer's country and on other aspects. Currency acts as an exchange asset - a commodity that is represented on the international forex market. This, in turn, implies the fact that the laws of supply and demand are applicable to currency. For a trader who trades on the forex market, it is important to be able to build forecasts about currency fluctuations and effectively use them in trading. That is why, he definitely needs to know what factors affect the currency and, directly, influence the definition of its demand and supply. Forex is different in that there is an exchange on the market, one currency changes to another, and the fall or growth of the exchange rate is in relation to other currency units. So, the factors that affect the exchange rate and quotes, distinguish two types - conjuncture and structural. 1) to the first option - conjuncture refers to those aspects that provoke short-term changes in the course, and act as a positive channel, and in the negative. - speculative movements of a short-term nature. 2) As for structural factors, these are long-term trends, which in turn establish the position of the national currency relative to the currencies of other states. Undoubtedly, the key factor is the economic state of the state, its political position and the level of trust, both foreign investors with their investments, and residents of the state. Quotations can both rise and fall. - high currency turnover, if you count according to international standards - the higher the demand for currency, the stronger and higher the rate. - emission, which, in turn, is not backed by real economic needs or data. The issue can be either cash or non-cash. - External raw materials sources also influence the exchange rate - direct dependence on them provokes a fall. - some changes in the legal sector. Especially if they affect the interests of producers or investors. For example, a decrease in tax performance or vice versa, an increase, a change in legislation for investors, cancellation of duties for imports, etc. Do not forget that there are direct relationships between the world economic balance and exchange rates. All events of a political or economic nature affect the dynamics of prices. A trader who follows world events and important news can analyze and predict the future course movement or determine for himself the market prospects at the current stage. 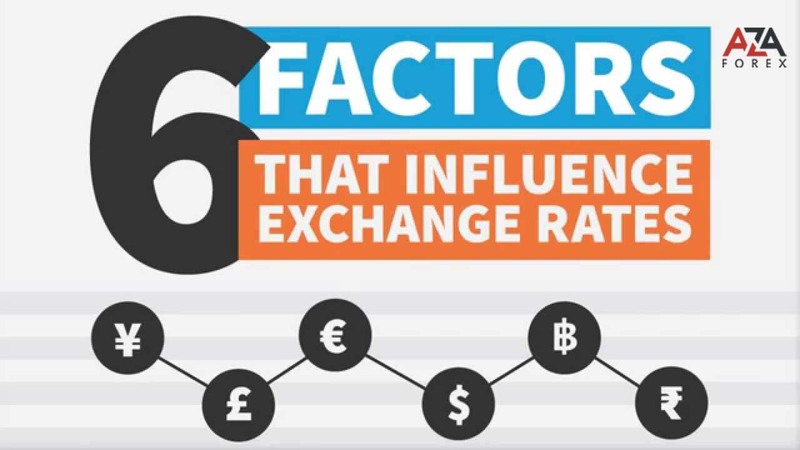 Such data and knowledge of influencing factors help in trade: and with their help one can make the right decision and facilitate the process of trading in the forex market.